Billy Clarke fired a hat-trick on his debut as Northampton romped to a 5-1 victory over Crewe. 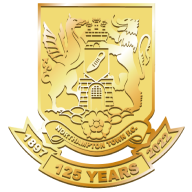 Billy Clarke fired a hat-trick on his debut as Northampton romped to their biggest win of the season with a 5-1 victory over bottom-of-the-table Crewe. Clarke, signed on loan from Ipswich, made an instant impression by giving the Cobblers the lead inside two minutes when he lashed the ball past Stuart Tomlinson at the second attempt. 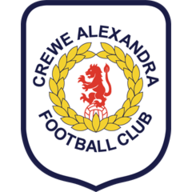 Crewe's chances virtually disappeared when defender Julien Baudet was sent off for tripping Giles Coke in the 17th minute and from the resulting free-kick Danny Jackman made it 2-0. The visitors pulled a goal back 10 minutes later when Colin Daniel converted a cross by Mark Carrington but two goals inside two minutes early in the second half settled matters. Clarke made it 3-1 in the 56th minute after a Jackman cross was headed into his path by Adebayo Akinfenwa and then Liam Davis drilled home a low shot from the edge of the box. Clarke's red-letter day was complete in the 69th minute when he was tripped by Daniel allowing him to convert the penalty.